Our mission is to provide the highest quality waste collection, transportation, processing, disposal and related services to both public and private customers throughout the area. We will carry out our mission effectively, safely and in an environmentally responsible manner. Thames Materials Ltd is a London based company which has been trading since 1995. The companies core business is the removal, transfer and recycling of construction waste materials and the supply of primary and recycled aggregates. 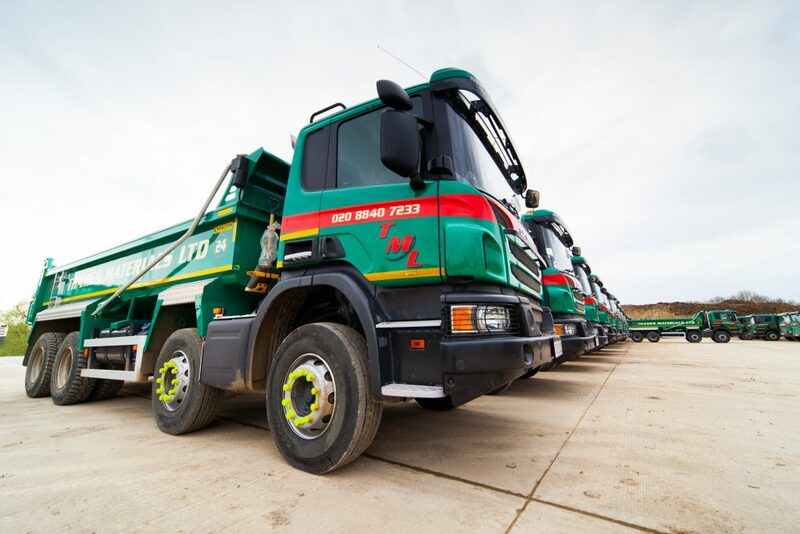 Thames materials have a modern fleet of tipper and grab lorries enabling us to provide a full complete muck away service within London and the Home Counties. Thames have facilities for recycling construction materials in Harefield West London, Chadwell Heath and Chattendon Kent for tipping inert and non hazardous construction muck away. We provide a complete service from source to disposal for muck away advising on the best method of removal and providing full documentation for disposal purposes at the receiving facility. Thames Materials have considerable experience in land restoration and have successfully worked alongside landowners from application, design through to completion. We are happy to discuss any projects in London and the Home Counties. Contact us to find out more about our waste management and tipper and grab hire service. Website Design and Maintenance by Purple Orchard Ltd.